As a part of our recent Share the STEP Love promotion, we asked members of our Steps to Everyday Productivity (STEP) program to share videos showing how STEP has changed their lives. We were floored by the response we got. As video after video came in, we loved seeing the many amazing Command Centrals people have set up, as well as hearing the beautiful stories they shared. Three videos really stood out – and we want to share their stories with you! 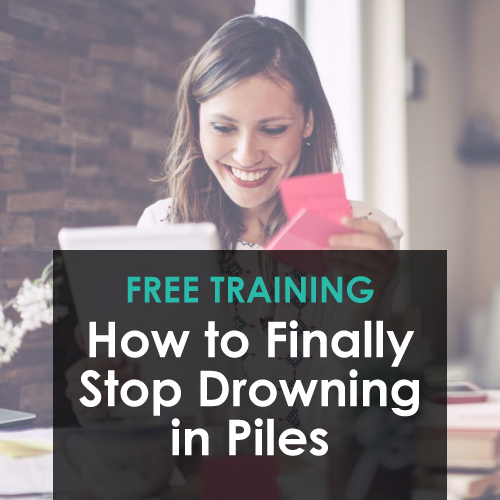 “I purchased this system (I’m so embarrassed to say this), months ago and haphazardly implemented it…I was not successful at maintaining the system (because I hadn’t fully implemented it) and soon my office was out of control. As I mention in the video, I lost a client folder and some information this spring, and had a very unhappy client. Luckily I didn’t lose the client, but I did lose all excuses to not take this more seriously. So I implemented the system again about a month ago. Since then, not only am I more organized, but I’m much more productive. My routines list, right behind my desk, are the first thing I look at each morning. I do my daily list, then I move on to the day-specific tasks. Now I don’t wake up on Thursday morning gasping because I didn’t do something I should have done. It’s done ahead of time, and I can be more intentional in all the tasks I do. 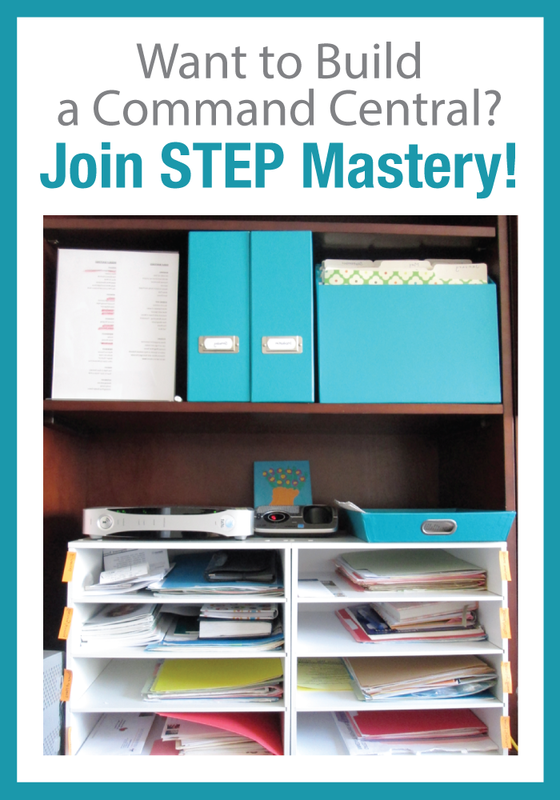 And now – come watch her video, to see how beautifully she implemented her Command Central! Isn’t it so fun how she made it into a gift for her family? And with such amazing results! Her story about implementing STEP in the midst of a very difficult time really touched us. Do these videos inspire you to get organized? If so, we have a unique opportunity coming up that you won’t want to miss! 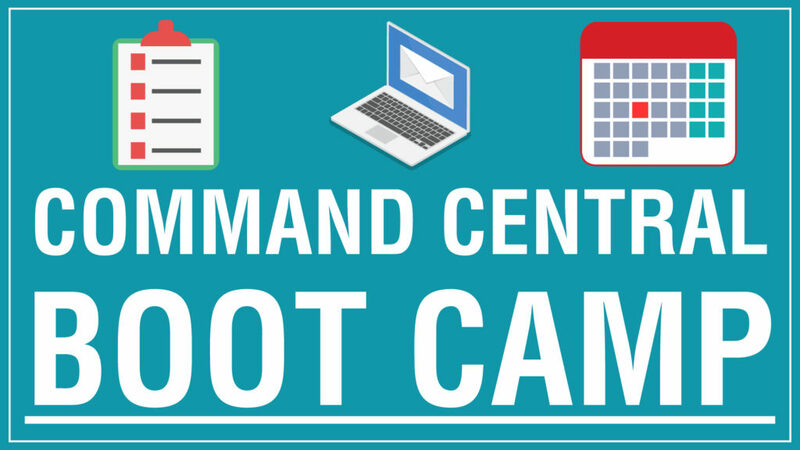 This next week, June 11-14th, I (April) will be walking through the parts of the Command Central that work like “magic” to get your system up and running right away! All members of our STEP Mastery program will be able to join me live in the daily trainings, and then have the opportunity to ask questions. If you’re reading this LATER, no problem! All the content will be inside the new Module 1 of the revamped STEP program. But if you want this information now, and you want to work with me personally to set up your system, I would love to have you join our Boot Camp – click here or on the image below to find out how you can join!